With all the recent disruption of the floods, numbers of Trout anglers have been thin on the ground. However one or two anglers have fished off the car park swim in recent weeks and had a few over wintered fish to 4lb on legered worm! Just to let you all know the lake will receive its first stocking on Thursday March 3rd! 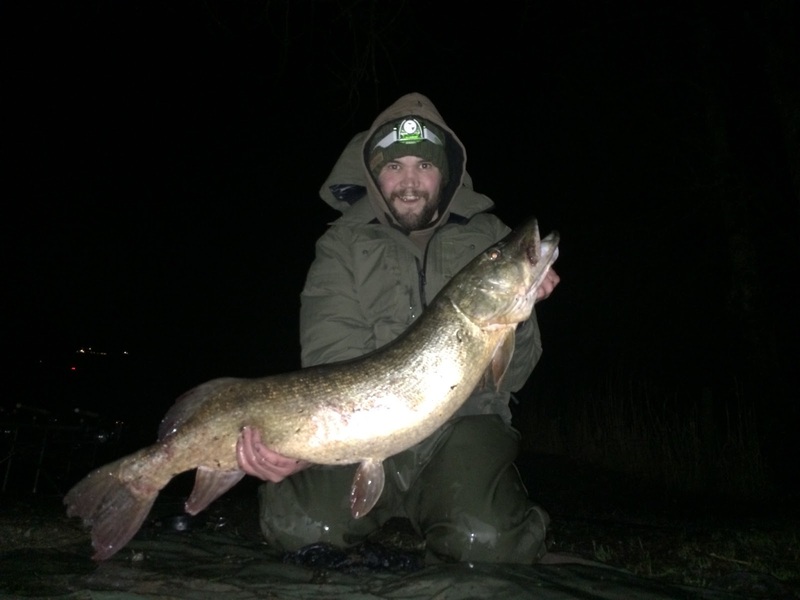 Despite the recent wet weather the Pike and the coarse fishing has been spectacular! Water temperature have remained high for the time of year and plenty of anglers have had their string pulled as a result! Gaz Hodgson from the Wirral fished static deadbait from the boats and landed a cracking 22lb 8oz fish. Dave Bleese from Southport also fished deadbait and landed Pike of 15 pound and 21 pound respectively . Meanwhile Andrew Dennet from Preston landed a personal best 20lb 30z Pike on a lure with one of the Esthwaite guides. Danny Stott also caught a 15lb 4oz fish which fell to static deadbait. Terry Kenyon bank fished off the popular car park swim and landed a 20lb 8oz fish on a float fished Herring. Also fishing off the car park swim Dave Black fished Lamprey section and took a personal best 28lb 4oz lunker! (see attached photo). Hawkshead Angling club members Roger Byron and Harry Poxon fished the boathouse stretch on the Eastern bank and landed fish of 21lb and 22lb respectively! These boys used a bait boat to access very deep water and took both their twenties on static Mackerel deadbaits! Also getting in on the action was Mathew Wright from Warrington. He landed a 12 and a 15 pounder. One on a lure and the other on deadbait! Darren Ward fished from the car park banking and took a nice double of 14lb! Don’t forget our Pike season finishes on 31st March and we offer a guiding service until then. If you would like to book a day with one of our professional guides then this must be done in advance by telephoning Dave or Alex on 015394 36541. Or alternatively you can email us on trout@hawkshead.demon.co.uk. The mild weather and overcast conditions has produced fantastic bags of 30lb+, of Roach, Rudd, Perch and Bream, to long range feeder tactics. The point opposite the ticket office and the boathouse stretch on the Eastern bank have both fished consistently well and don’t forget we are now open all year for for general coarse fishing! Best Regards, David Coleman M.I.F.M , FISHERY MANAGER.